This sample shows how Paris can be used in virtually every industry by printing crucial transaction documents, such as invoices, on plain paper. Replace expensive and inefficient multi-part, continuous-feed invoice paper by printing on plain paper. Reduce costs and automate business processes by producing office copies direct to PDF for electronic filing. Encourage earlier payment by highlighting vital information and adding personalization. 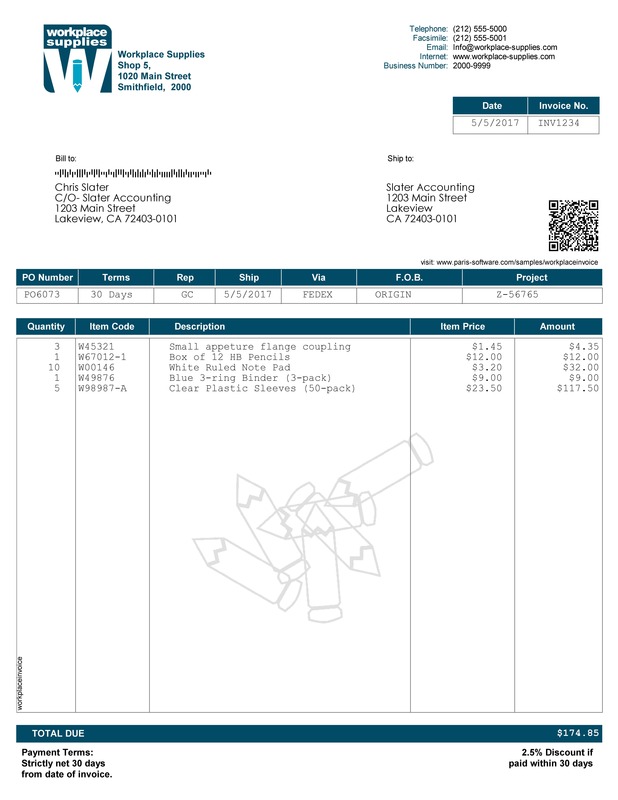 In this example, we are have designed a fairly simple invoice. It is using print data directly from the host system therefore no change in the way you have configured your processes today. Add personalized marketing messages to make the invoice work harder for you. Add mail processing to gain postal discounts or deliver electronically via email for quicker payment.